We offer Residential & Commercial Painting Services and Decoration Services Quality Finish / Best Support / Better Prices. Deccan Painters has over 4 years’ experience of carrying out all aspects of decorating internally and externally for residential customers. Over that period we have worked for hundreds of residential customers. 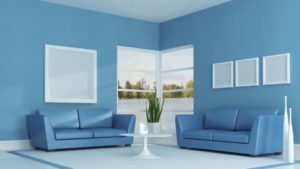 Other Dubai Painting Companies may be out the door while the first coat of paint is drying, but Deccan Painting Services Dubai believes in a full interior painting service that guarantees the quality of your home’s new look. From color consultation to adding finishing textural touches, you’ll get the walls you want and nothing less. No matter whether your whole home’s interior needs painting or just a single room, we have the right skills to ensure the job is done right. All of our Dubai interior painting services come complete with wall washing, gap caulking, trim painting, and everything else that’s needed to provide new paint that you’ll love. Our technical painting ability is where we shine, but our Dubai interior painting customers have also come to appreciate the other things we do that make a difference. 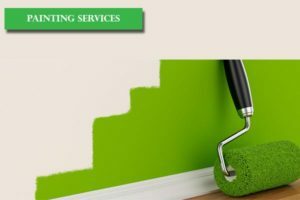 From completely protecting your furniture before starting to making sure that there’s not a single speck of paint on the floor when we leave, Deccan Painting Services is committed to delivering the kind of service that we would want for ourselves. With the right blend of impressive interior painting skills, customer services, and great prices, Deccan Professional Painting Services is the right choice in Dubai, United Arab Emirates (UAE). Call us at +971 50 484 7911 or +971 4 254 6128. For over 7 years we’ve been enhancing, beautifying, and restoring homes in the Dubai Areas with a fresh coat of paint. We only use premium paint and surface preparation techniques that will provide the interior or exterior of your home with beautiful, lasting results for years to come. Painting Happiness … It’s What We Do! Safety is our top priority when it comes to the public and everyone on the job. You can count on our team to be polite, arrive on time, and keep the work area neat and tidy throughout the duration of the project. Note 1: The Above prices are for White/Off-white (Current color also has to be same), for different colors quotation will be provided on request. Note 2: The above prices are only for Walls, ceiling paint cost will be provided on request. We are specialized in a professional and full restoration service on a comprehensive range of wooden. Our service is also an important way of helping the environment. By restoring your doors and furniture we are helping with woodland conservation.